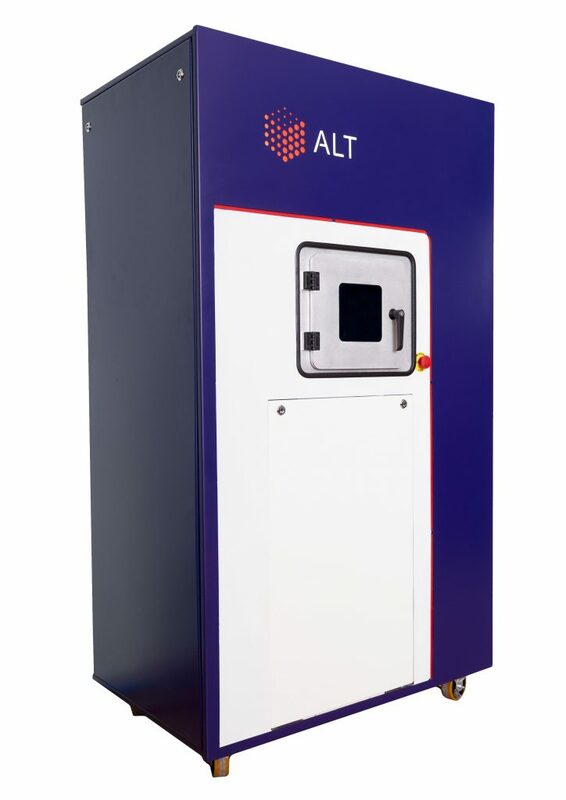 ALT 3D printers – high-precision equipment for printing parts and assemblies from a wide variety of metal alloys, by selective laser sintering. Our 3d printers have a compact external dimensions and low maintenance, under affordable price. Non-expensive, easy-to-use, and maintenance-free 3D printers are perfect for a wide range of professional applications. 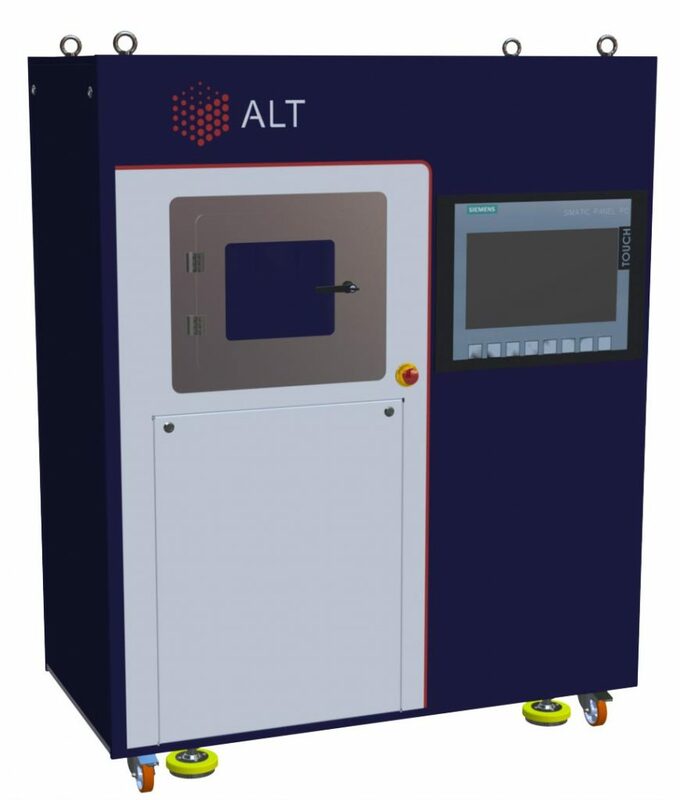 Professional 3D printing with metals becomes easier with ALT! Alfa 150 – compact machine with maximum manufactured detail dimensions 150 x 150 x 180 mm. Advantage of this model is opportunity of new materials operational testing, simplicity and short maintenance time, possibility of operation in laboratory conditions. Maсhine is supplied with full kit of auxiliary equipment for continuous work, including powder vacuum transportation system, raw materials processing for reusing, working area preparation station. Alfa 280 – one of the most popular model, owing to sufficiently large operating field, which enables manufacture of details with maximum dimensions 280x280x300 mm, reaching high quality details with complex geometry with different metal alloys without usage of unique equipment and long technological processes. This model is convenient to use for mass manufacturing and for prototyping with tough requirements to quality and chemical and physical properties of material. Maсhine is supplied with full kit of auxiliary equipment for continuous work including powder vacuum transportation system, raw materials processing for reusing, preparation working area station. Under request machine can be completed with additional laser and second scanning system with high-speed systems of dynamic focusing of a laser beam. Alfa 500 – the eldest industrial equipment model which enables manufacturing of large-size details with dimensions up to 400x400x500 mm and under necessity allows to extend length of details up to 800 mm. In this machine it is applied a system of continuous processing and supply of raw materials, which allows it to be used 24/7. With such impressive dimensions machines series Alfa 500 provides high accuracy and speed of manufacturing. Under request machine can be completed with additional lasers and up to 4 scanning system with high-speed systems of dynamic focusing of a laser beam, which allows to increase printing speed up to 4 times.